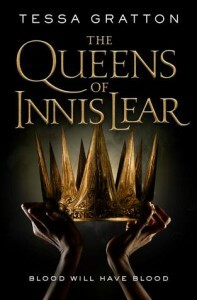 This fantasy novel is basically a take on King Lear with all the main characters, often with similar names, the fantasy element coming through the magic of the land as manipulated by key characters. Quite engaging, especially if you're not familiar with the original play (as in my case) but too long at 560+ pages. I don't need as much repetition nor a description of what each character is wearing in most scenes. Characters are well- developed and the descriptions are lush and vivid. If you know the play, I am sure that the ending is different so no spoilers here! I received a free copy of this book in exchange for an honest review.